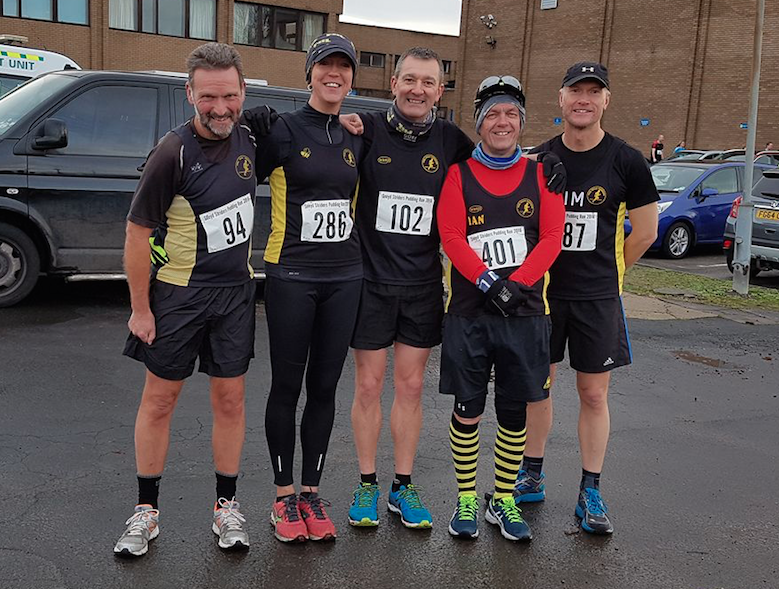 Peel Road Runners rounded off 2016 in style with some great performances and personal bests. 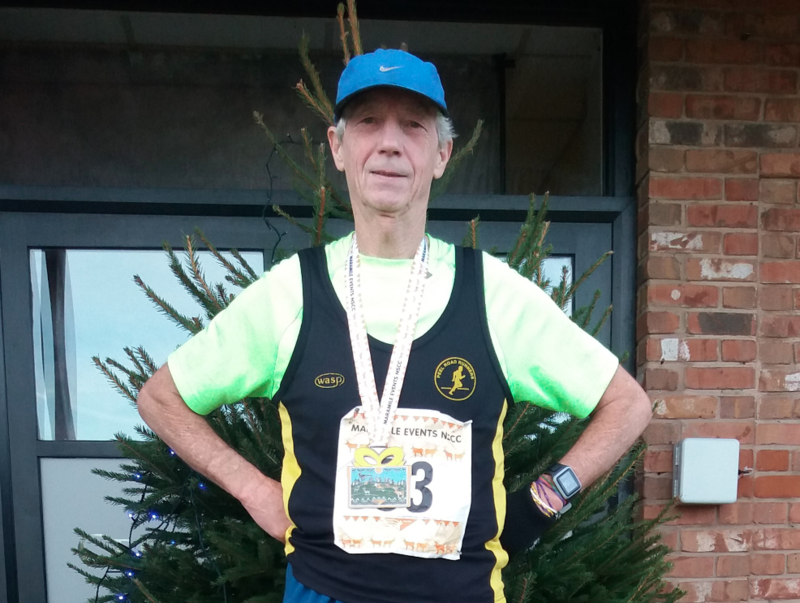 At the Sneyd Striders Pudding Run, Tim Gould led the club home in 1:11:22, securing 69th place overall. Dave Fern was the next to cross the line in 1:16:57, an impressive 4th in his age category. Stuart Hatton finished the 10 mile course in 1:19:54, a new personal best. Sandra Ingram recorded a time of 1:28:45 and Ian Grigg finished in 1:36:12, another personal best. In Telford, Lee and Rachael Rickards completed the Telford 10k race. Lee crossed the line in 42 mins and Rachael completed the course in 54:20 mins. Last weekend, Bob Donovan completed another marathon and took an impressive 55 minutes off his time from the previous year. He ran the 8 laps at the Newark Showground Marathon to come in 32nd place with a time of 4:40:20. As always, the Peelers supported the local Parkruns and recorded more great times. In Rosliston, Rob Hirst recorded a time of 24:47 mins, a personal best for this course. In Walsall Arboretum, Lee Rickards crossed the finish line in 19:25 mins, coming in 19th place overall. Ten Peelers supported the Santa parkrun at Kingsbury Water Park, with many running in colourful costumes. Tim Gould was the first Peeler home with a time of 19:57 mins. Martin Hollamby finished in 21:03 mins and Dave Fern completed the course in 21:36 mins. Stuart Hatton Crossed the line in 22:03 mins and Darren Truman recorded a new personal best with a time of 22:55 mins. Malcolm Bembridge was the next Peeler to cross the line in Kingsbury in a time of 22:58 mins. Matt Smith finished the 5 km in 25:15 mins and Markus Fairburn completed the course in 26:37 mins. Ian Grigg crossed the line in 28:42 mins and Zoe Schnepp rounded off the Peel representation with 29:01 mins.